Every child, who is not yet able to write and read, hears lullabies, fairy tales and legends from his parents and grandparents, searches for answers to riddles, learns Christmas carols and shchedrivki (ritual songs) on winter holidays, finds out about the majestic events of national history and speaks the first words in his native language. That is how, we are still unconsciously attached to the oral tradition of our people. 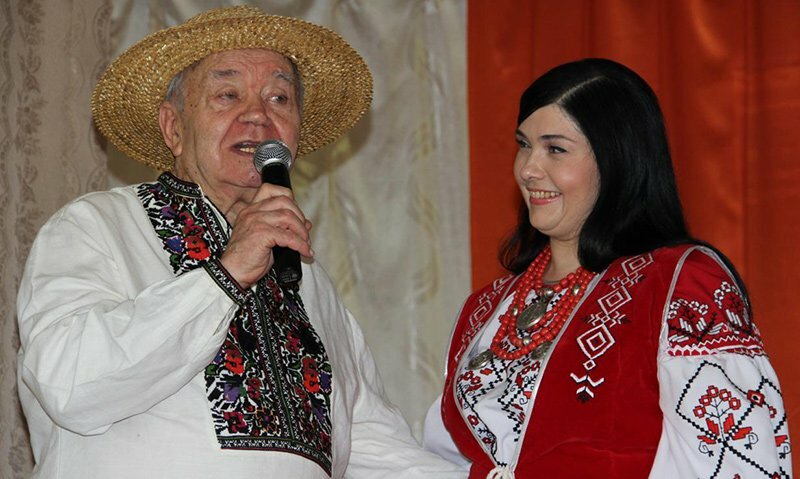 This tradition provides the transmission of information about their ideological, ethical and aesthetic views, social experience from generation to generation through the artistic reflection of reality (life, work, struggle of the people in different historical times) in verbal, musical, choreographic and dramatic forms of collective folk art. This is how the spiritual self-preservation of each nation has been secured. 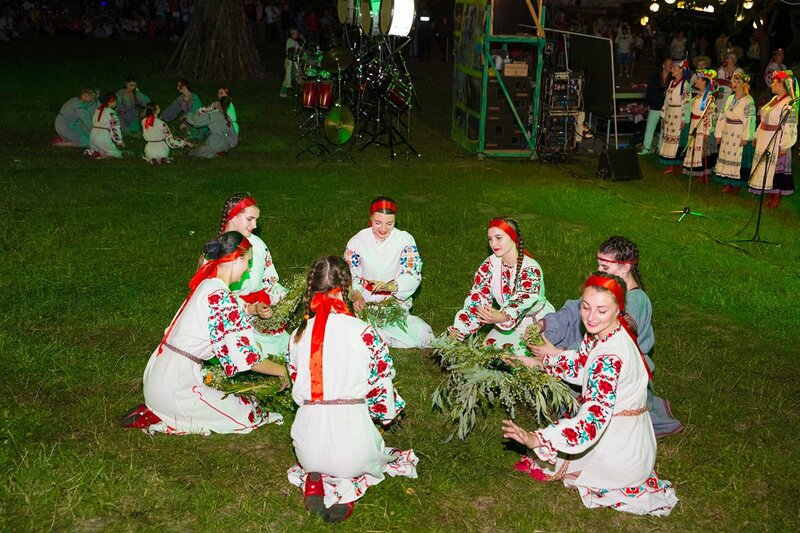 The oral tradition of the Ukrainian people is represented in folklore and mother tongue as the carriers of the intangible cultural heritage. 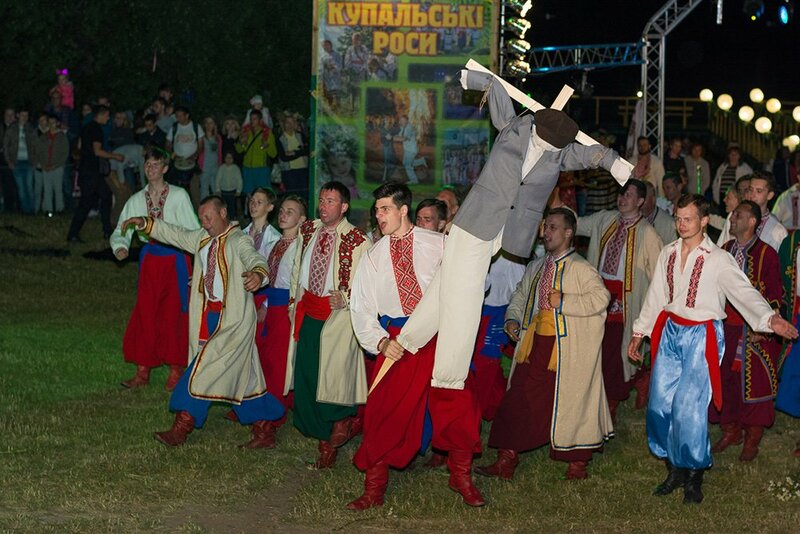 The way to realize the peculiarities of our nation's culture lies through the mastering of folklore. Literally, "folklore" means folk wisdom. 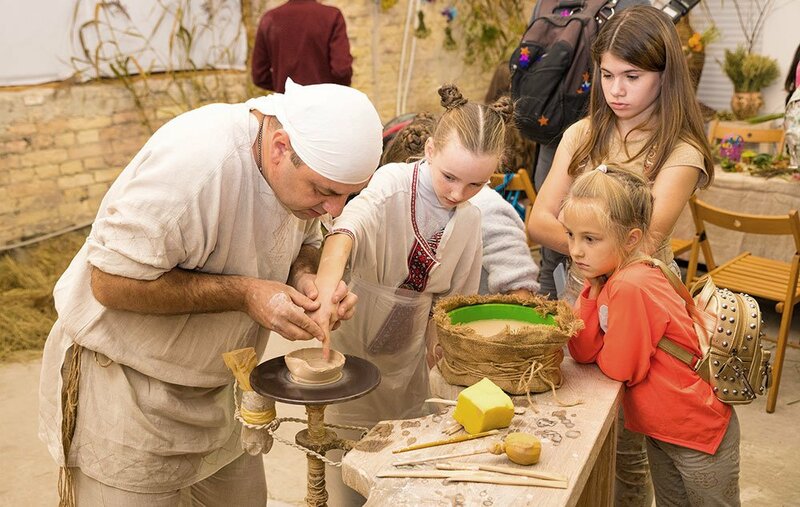 In a broad sense, it is everything the people are creating: oral works, rites and customs, dances, music, games, arts and crafts, folk crafts and folk architecture. 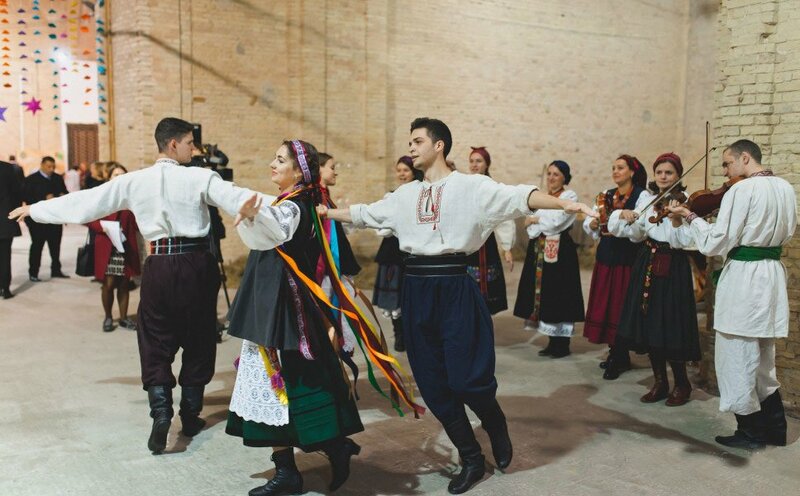 On November 15, 1989, the UN General Assembly adopted recommendations for the preservation of folklore. There, the folklore was defined as a part of a common heritage of humanity and a powerful means of bringing peoples together. It was pointed at the necessity to ensure safety of oral traditions as they have a very fragile nature and can easily disappear. the old tradition [...] has chances to exist tens of thousands of years and transfer the echoes of life, world outlook and creativity on the endless chronological units. How did folklore come into existence? Folklore originated from myth and rite. Initially, the content of the myth, the rite (ritual), the cult of this or that god was sacred. Predominantly elders and priests were the keepers of sacred knowledge. The uninitiated, especially the representatives of another family or tribe, was strictly forbidden to tell the religious myths. It was not allowed to reveal the sacred content of the ritual (rite). Such a ban was called a "taboo". There were taboos on the story of a myth, on certain words or an action that could do harm to spirit or god. Sometimes the breach of taboo on telling the myth or the presence of uninvited at the rite could have caused the death of the culprit. As time passed, myth and rite lost their mysterious sacred meaning. The breach of taboo ceased to be punished by death. When the myths were started to be told to everyone, the narrators began to use linguistic ornaments, trying to get the audience interested in a bright fabrication. Based on myths and rites, ritual and non-rituals poetry, legend, fable, epic poem, etc. arose. Why is the folk art oral? Folklore differs from the written literature in that the authors of oral folk works are unknown. For a certain time the work existed only in oral form. In the oral tradition, the information was transmitted on memory. The narrator had a space for improvisation. The word is organically combined with intonation, gestures, facial expressions, and melody. In collective creativity, each new narrator used the ready-made property, the "work" of the other ones, but made his corrections and additions. He re-compiled the text. Oral reproduction of texts by the narrator, his improvisations during the performance of the work resulted in numerous variants of the same text. However, all the changes were still confined to the tradition and relied on it. That ensured the stability of various genres of oral creativity. Oral presentation, collective character, anonymity and variability remained its special features. Usually, three types of oral folk art are distinguished: poetry (song creativity: ritual songs, historical songs and dumy (epic poems), lullabies), prose (tales, legends, narrations, verbal tales, jokes), drama (plays, scenes for folk theater, vertep (portable puppet theatre)). Ritual poetry, the ancient genre of folklore, originated from the indivisible unity of myth and rite. The imitation of labor processes, which is the merging of words with motions, is a notable feature of this genre. Hunting, fighting, everyday life, love experiences were the themes of ritual songs, circle-dances and games, which briefly, as if in miniature, recreated true life. 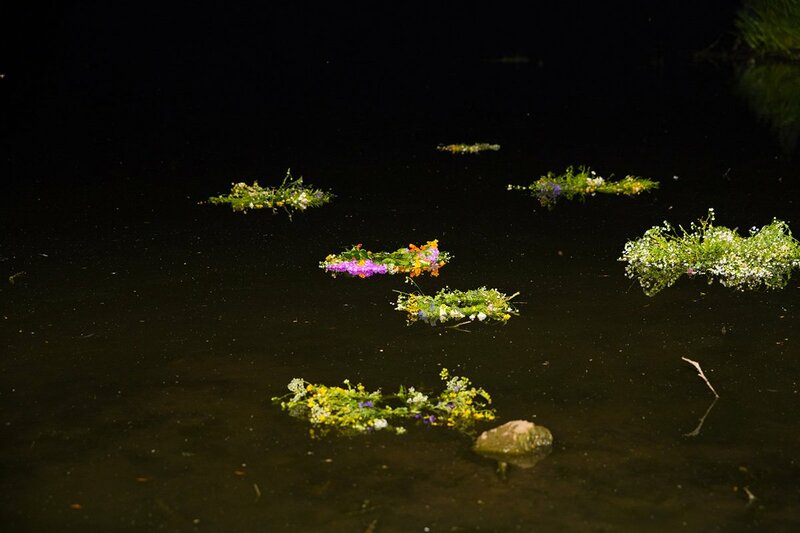 Unlike magical actions and rites, from which certain results of the influence on nature were expected, the folk ritual poetry transferred the emphasis to metaphorical and a certain entertaining element. Since the rites were accompanied by songs, dances, and games, the songs that were sung during the rites are called ritual. 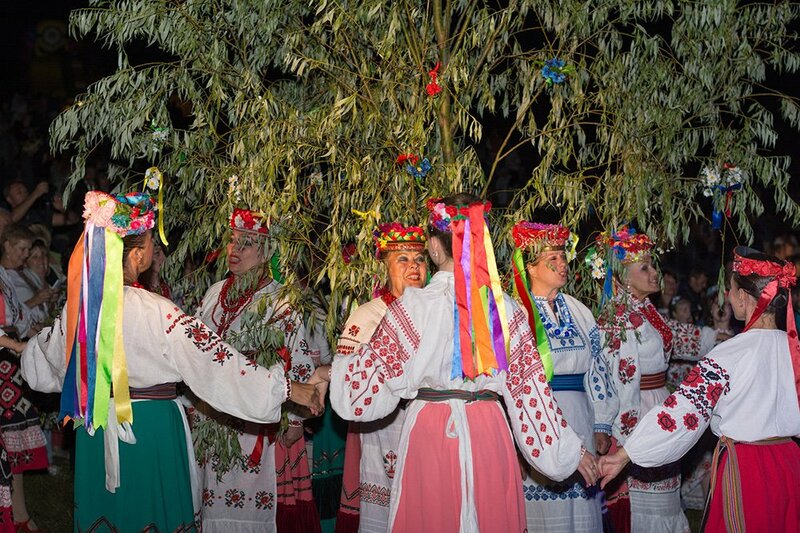 The most important among them are carols, shchedrivki (winter songs of praise), vesnianky (spring songs to call the rain), obzhynkovi (summer songs at completion of harvest). They were performed during the calendar rites. Historical events were reflected in historical lyric and epic works: songs and dumy. Historical songs are characterized by the development of the plot around real historical heroes, the absence of supernatural forces, the depiction of the heroism of the people in the struggle against social and national oppression. 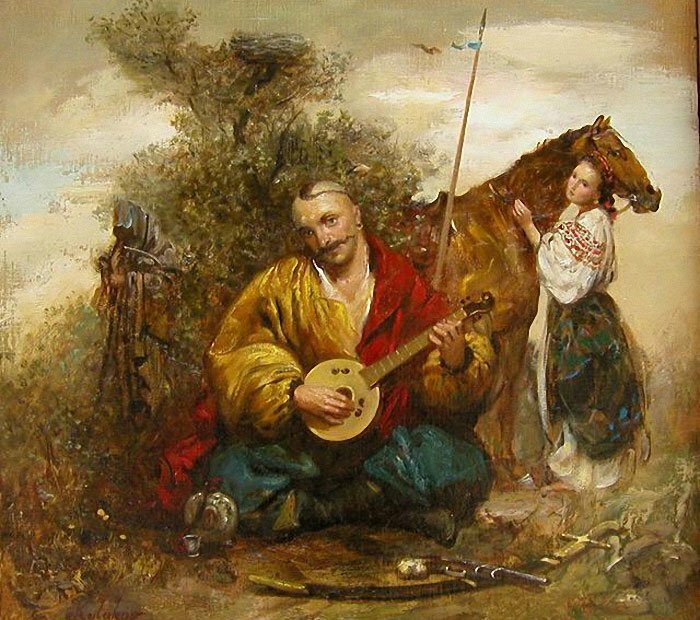 Historical songs, as well as dumy, arose in the 15th and 16th centuries, in which the deeds of Maxym Zalizniak, Ustym Karmaliuk, and Zaporizhzhia Cossacks are sung. The poetry of historical songs is characterized by exaggeration, aimed at emphasizing the exceptional physical and moral qualities of heroes. Hrushevsky M. History of Ukrainian Literature: In 6 T. 9 books. T. I. / Comp. V. V. Iaremenko; Author of introd P.P. Kononenko. notes L. F. Dunayevska. K.: Lybid, 1993. 392 pp. 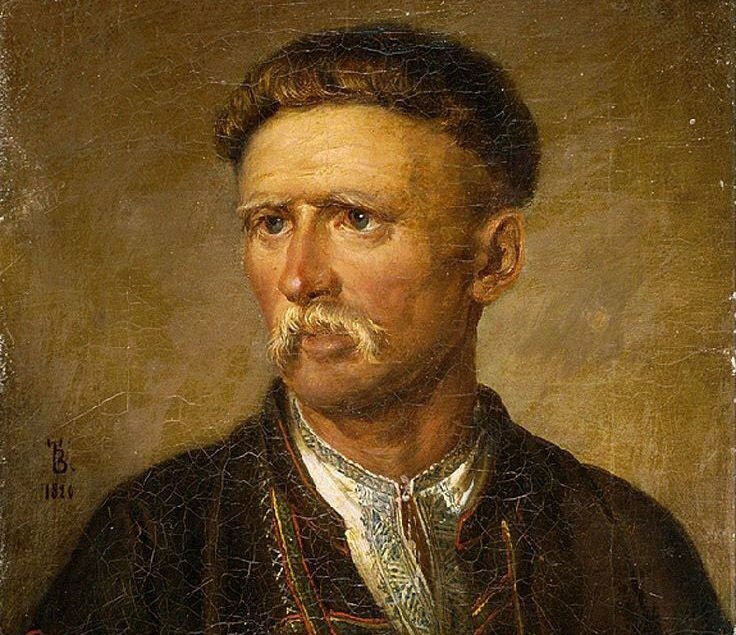 ("Literary Sights of Ukraine"). Ukrainian soul: Sb. scient works / rep. edit V. Khramova. Kyiv: Phoenix, 1992. 128 pp. Danyliuk A.G. The Roads of Ukraine: ethnogr. sketch. Lviv: World, 2003. 254,  pp. : il.